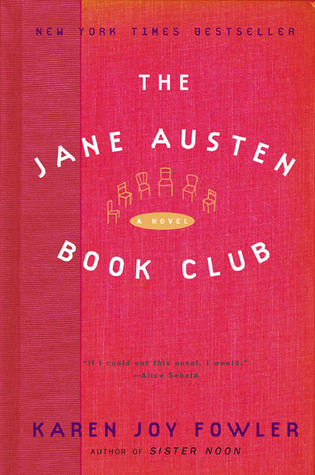 Based on the unfinished epistolary novel, Lady Susan, by Jane Austen. 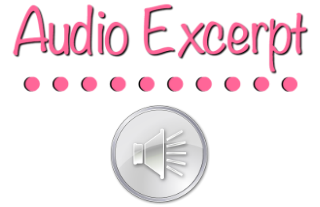 My friend Hamlette has been hosting an “I <3 Jane Austen” event on her blog this week, and I’m really excited to be able to join in on the Austentatious fun with a movie review of Love & Friendship! But, I really wanted to like this film regardless of Lady Susan’s character, so I gave it another watch and I’m really glad I did. I enjoyed the movie much more the second time around. The supporting characters are really entertaining, especially James Martin, who is so foolish you can’t help but laugh. There are some terrific puns and subtle humor in this movie, and if you don’t pay close attention to the dialogue you’ll miss some really funny lines. Also, the costumes are lovely! One detail I appreciated was how oversized James Martin’s coat buttons were; it fit well with his overall ridiculousness. 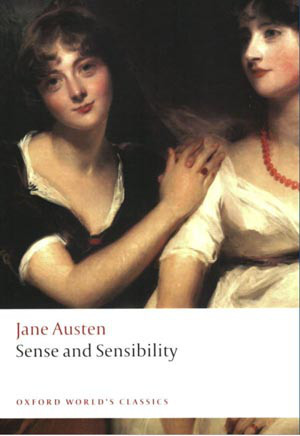 Stop by Hamlette’s Soliloquy to discover more I <3 Jane Austen posts! 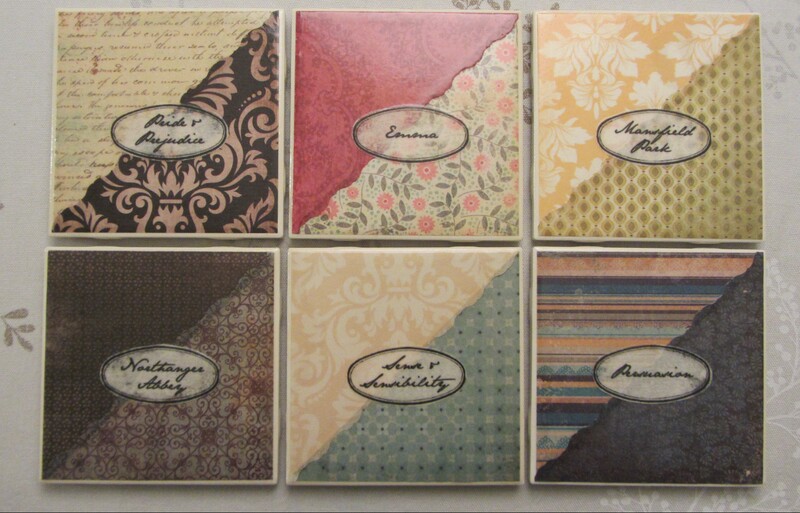 Austen in August Giveaway: Set of 6 Jane Austen Tile Coasters! 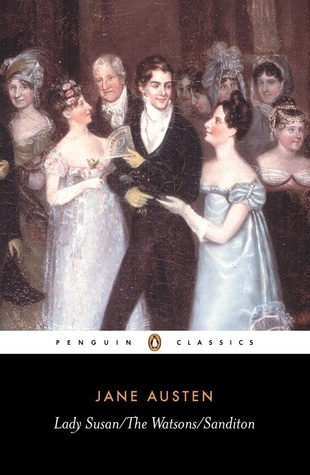 Hello fellow Austenites! Today is the last day of Roof Beam Reader‘s Austen in August event, and I’m very happy to say that I have a giveaway for you to celebrate! 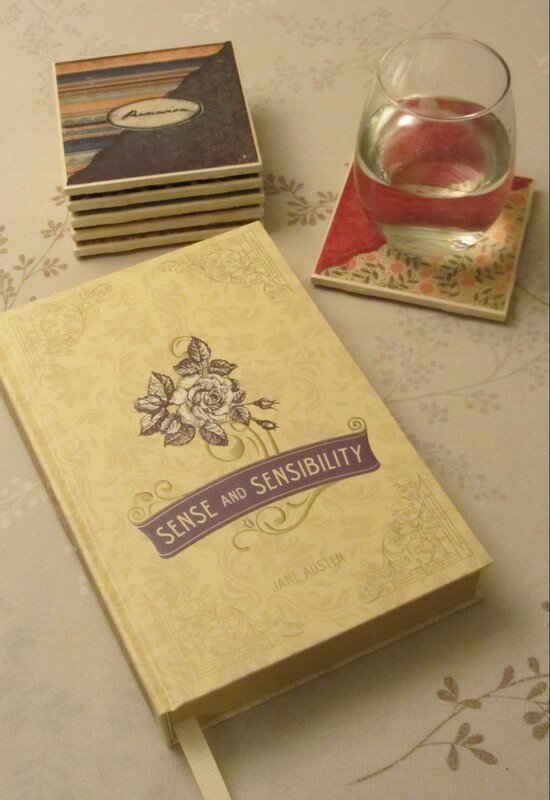 This month, while listening to Sense and Sensibility on audiobook, I got a little crafty and made a set of tile coasters. 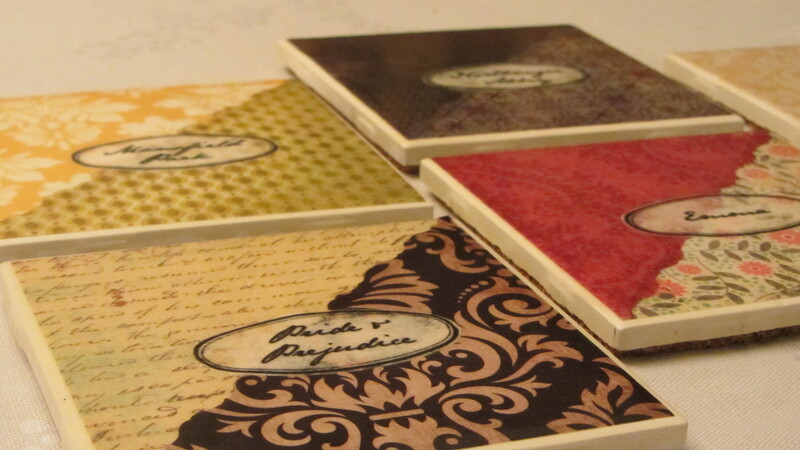 Each one is themed after one of Jane Austen’s novels, so Emma‘s coaster is sweet and girly while the one I made for Northanger Abbey is more gothic-looking. This giveaway is open until 11:59PM Friday, September 4th. 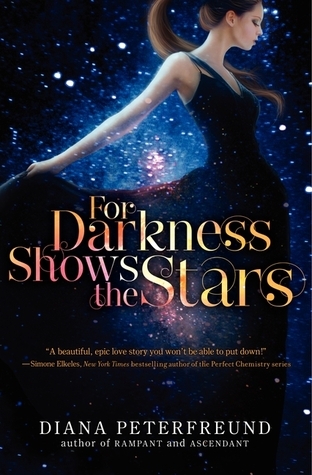 I will announce a winner on Saturday, September 5th. To enter this giveaway, leave a comment telling me what your favorite Jane Austen novel is or which character you relate to the most. Mine are Pride and Prejudice and Catherine Morland from Northanger Abbey. 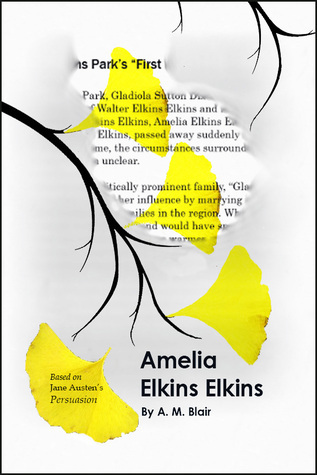 You must be a participant of Roof Beam Reader’s Austen in August event. I will check this sign-up page to confirm.